Beautiful Princess Crown Wall Art Print for Baby Girl Nursery or Girls room Wall Decor!!!! A gorgeous Princess Cinderella Crown Art Print, is a Wonderfull Nursery Decor for Baby Nursery Girls room ! 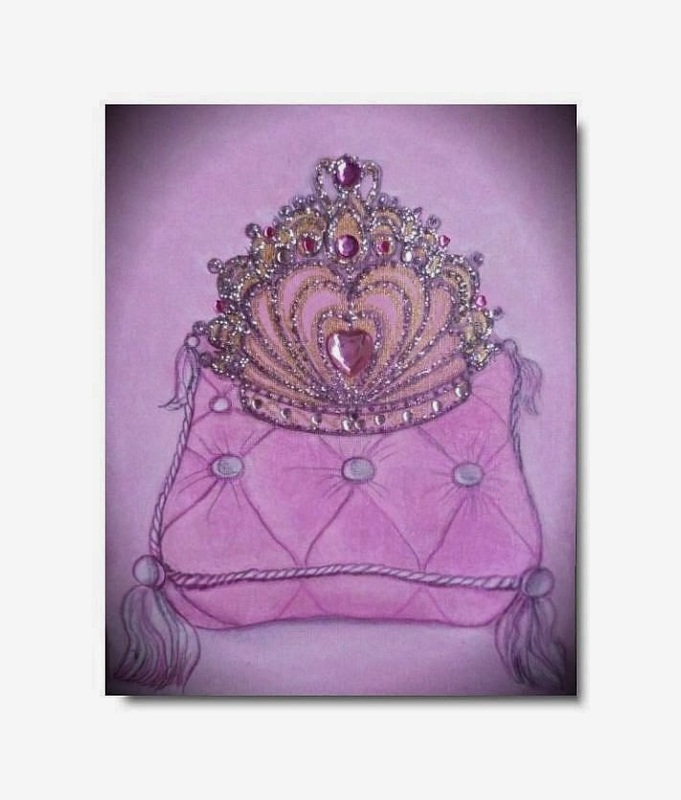 This Princess Cinderella Crown Art Print 8''x10'', is a reproduction of my ORIGINAL Hand painted Artwork for baby girl nursery or Girls room Decor!